The Serenada sanitaryware range from Vitra is a great addition to any traditionally inspired bathroom. 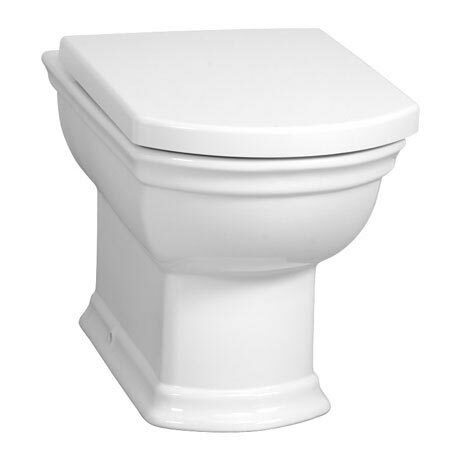 Made from vitreous china, this Back to Wall Toilet Pan with Seat has a design inspired by Victorian and Edwardian eras. This pan is designed to be used in conjunction with an enclosed/concealed cistern (sold separately). Comes with a 10 year guarantee from Vitra.